Hey guys! 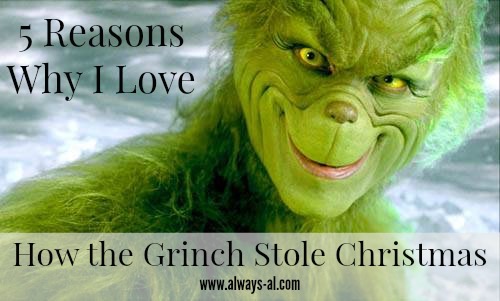 I'm hanging out with Ashley at The Grits Blog today talking about my favorite Christmas movie of all time... How the Grinch Stole Christmas! I love this movie for so many reasons. For the quotes, the music, the message.